The following birds have been listed on an invasive species list in North America. 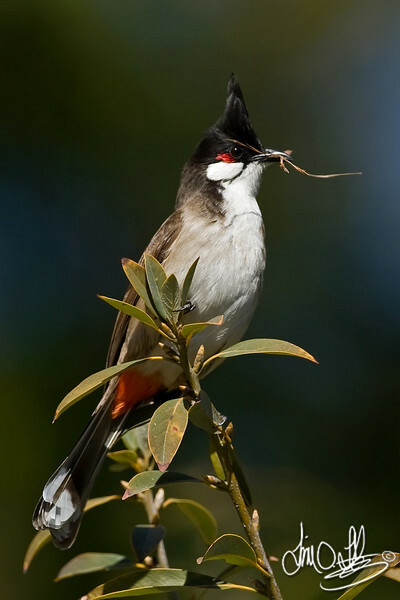 Wow, I've never seen a Red-whiskered Bulbul before. I know we don't have them here, and it probably lives on some Florida key. And, before I look it up, I'll bet this is in breeding plumage which means you had to capture it within a 30 days period. Well, great comp and catch! Tim, that small patch of complimentary red-orange drags the view to that well done eye. Really very good work, a standard for today.